Michael Thompson Storm Chase - Four Chases in four days ! 11th - 14th December - Four chases in 4 days ! 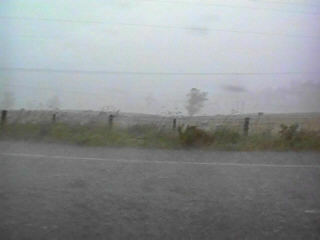 First photo - caught in the Rear Flank Downdraft ( RFD ) with torrential rain, small hail and strong winds, horizontal visibility was perhaps 100m ( 300 yards ), ironically vertical visibility could make out cloud base - a classic microburst rainfoot situation. 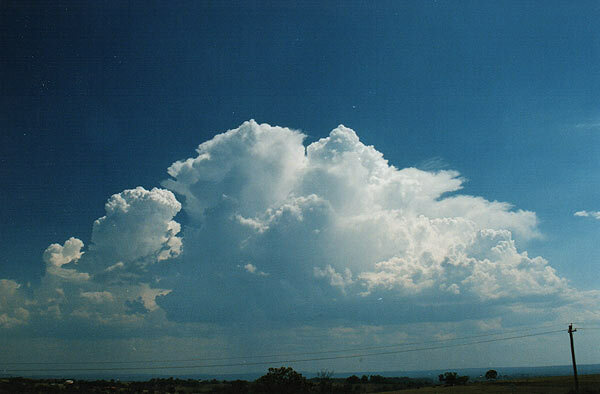 Second pic was the rear southern flank taken just minutes later. 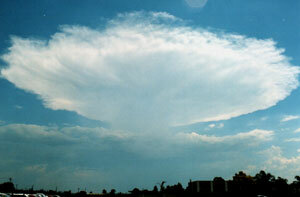 A classic Cumulonimbus Calvus - the stage between Cumulus congestus and cumulonimbus incus ( mature thunderstorm ). 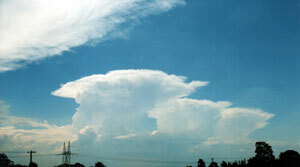 Second Pic - very light upper winds saw anvils spreading in all directions. Three little single cells all in row. 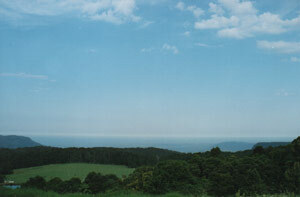 Second pic is of a sea breeze inversion, you will see it easier by clicking and viewing the larger photo. The level line is not the ocean, but the top of the coastal inversion layer. Temperatures at the top of Macquarie Pass were 1-5C ( 2-8F ) warmer than at the bottom. 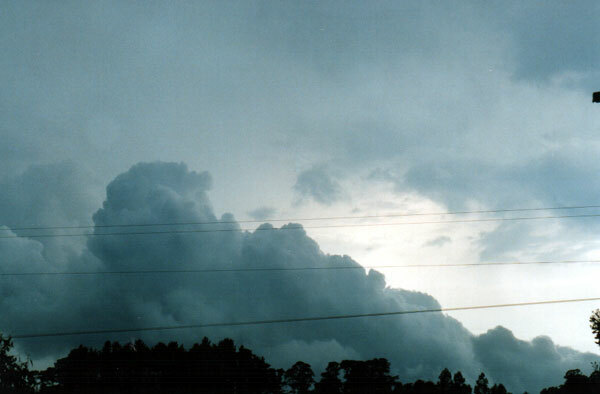 This inversion inhibits Cu development on the coastal strip.